James Ward-Prowse scored his second free kick in as many games to give Southampton a late lead versus Tottenham. SOUTHAMPTON, England -- Losing to Burnley was concerning, and being defeated by Chelsea was troubling. 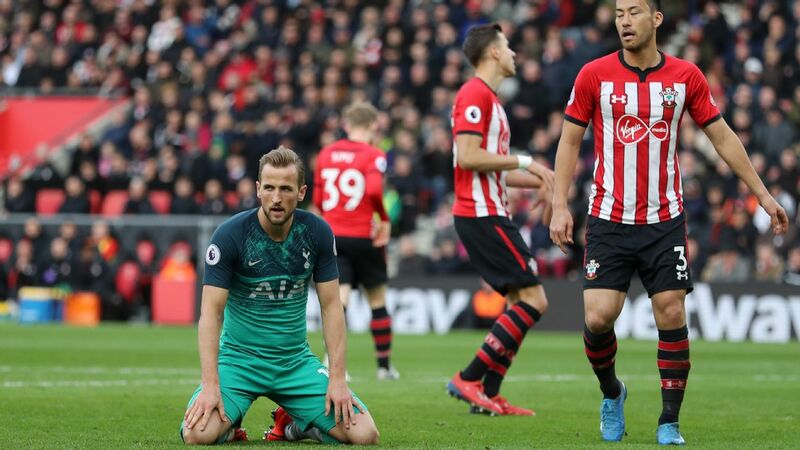 This loss, to Southampton, means Tottenham can officially panic. The past few weeks have seen two Tottenhams. One version flexes aside Borussia Dortmund, barely breaking a sweat in the process. The other capitulates to teams either scrambling to preserve their place in the Premier League or in mid-table disarray. Much like the U.K. as a whole, Tottenham seem to be much better off in Europe. A Danny Ings brace and a late Charlie Austin winner helped Southampton triumph over Arsenal, ending the Gunner's four-month unbeaten run. SOUTHAMPTON, England -- Three thoughts on Southampton's 3-2 win over Arsenal in the Premier League. There should not be any panic for Arsenal, given this was their first defeat since August, and their first to a team not called Manchester City or Chelsea. Man United fought back from two goals down in a chaotic first-half but fizzled out in an uneventful second period at St Mary's.